I asked these women to send me their top 5-10 recommendations, and then some more specific questions, like "Should I get a real crib, or just use a Pack n' Play?" and "Original Ergo or Ergo 360?" Sophie, who was two weeks behind me in her first pregnancy as well, chimed in on the email thread with some more questions of her own, like: "Is it usual to put Christening gowns on baby registries?" (The response here: Go for it!!!! What a special gift.) "Highchair vs. booster seat vs. one that attaches to a table?" "Should I get a nursing cover, or just throw a muslin blanket over my shoulder?" Below you'll find some of the wisdom we received in answer to our pleas, plus some of the wisdom we've learned in the two years since. If you are wading into the waters of forming a baby registry yourself, perhaps you'll find some answers to your questions here! 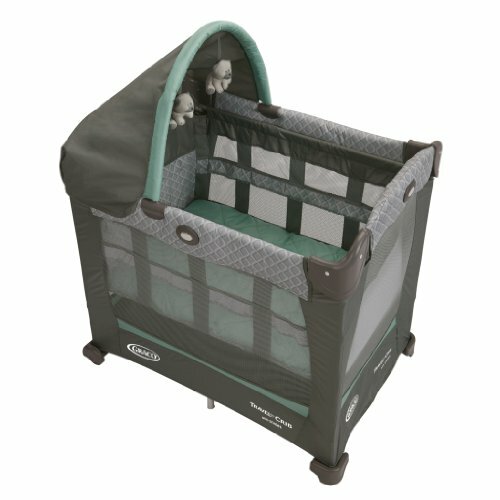 Overwhelmingly, we were recommended to go with a pack 'n play rather than a crib. Why? Well, if you like your baby to sleep close to you at night, the pack 'n play is small and lightweight -- easy to maneuver around the master bedroom. I found myself keeping it against the wall during the day, and pulling it up against my bed at night (almost like a co-sleeper). Another bonus: when you travel, your baby still has the same bed! And again: the mesh sidings mean no suffocation hazard, and no hard rails that the baby might bump against. It's perhaps not as cute as a crib situation, but I've found it ever so functional, especially if you're tight on space. This adorable Graco travel-lite mini travel crib (pictured) was handed-down to me, and I used it until each of the girls turned about 6 months, and then switched over to a full-size travel crib. (You can also get a travel-crib mattress that offers a bit more padding, which is nice.) One sister-in-law recommended an inflatable toddler bed for travel post-crib, because it's very lightweight and can easily fit in a suitcase. I've never tried it, but I'm stowing this idea away for the future. When Catherine was older, we moved her out of our room, but because she remained in her "bed" (travel crib), it was a seamless transition. She slept in the pack 'n play until she was nearly 2, and then we transitioned her to a full-size mattress on the floor (eliminating the need for a special toddler bed). When she's a little bit bigger, we'll put her mattress on a frame. :) I know Maria and Sophie have handled these things differently; I'm sharing here what strategy worked for me! We love our Ergos and Maya wraps! 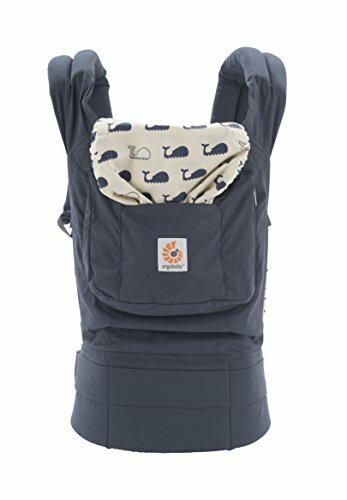 As you may recall, I try not to be religious about these things, but we have had great experiences with these baby carriers, so I never hesitate to recommend them. 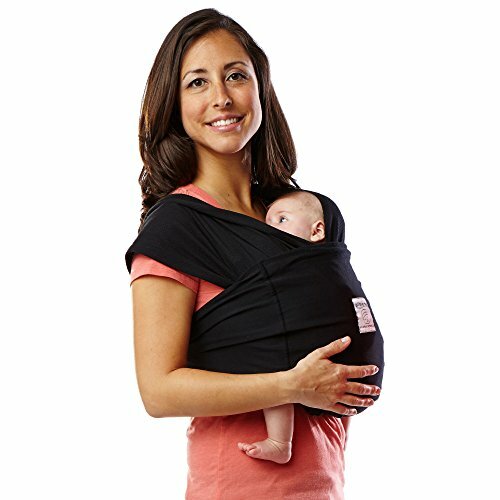 This baby-wearing option is great for the newborn stage. It allows really close cozy (skin-to-skin) contact throughout the day, while being absolutely stunning while wearing. Some baby-carriers look a bit frumpy, but the Maya wrap comes in gorgeous colors and textured fabrics, and I think the way the tail hangs down is just so elegant. I got mine in a lovely graphite gray for everyday use, and also borrowed my SIL's plum-colored one. Sophie got hers in a beautiful blue/green stripe. Maria's feedback in the email from 2 years ago: "Yes a million times on the Maya wrap. I think it might very well be my number one can't-do-without baby item. It's so enormously functional, and it's pretty! I can't tell you how many comments I get on it. I don't really use it much past 6 months, but in those first three months at least I have the baby in it for at least 6 hours every day." P.S. The Maya Wrap, like all baby carriers, take a little bit of time to get the knack of it, but it is worth it to persevere! Sophie started using the Baby K'tan during the infant stage, and has only good things to say about it. The K'tan is a cross between a wrap and a sling, and Sophie was especially a fan of how easy it is to take on and off. Plus, she says it has great support! Original Ergo vs. Ergo 360 vs. Ergo Sport vs. ...? When I was making my baby registry, the Ergo 360 had recently been released. Neither my mom nor Maria had tried it yet, but they were BIG fans of the original Ergo. One sister-in-law had both, and she said she preferred the 360. Since then, Ergo has come out with a few more variations. Here are my thoughts: The Original Ergo is beautiful in its simple yet functional design, so on aesthetics it has the most points. Oh! and it has a pocket! The one thing to its discredit is that it doesn't do forward-facing. Many people say that their babies don't mind at all, and it's even perhaps better for babies only to face inward (less stimulation), but then there are the babies who are only happy when facing outwards. I didn't know what kind of baby I was going to get, so I decided to get the more flexible option: The Ergo 360. The Ergo 360 has in its favor that it can do outward-facing (as in, the baby can look out while facing forward), as well as the other positions - back, inward-facing, hip. It's a little more busy looking, so I think a downgrade from the Original, aesthetically speaking. One down-side is that it doesn't really have a pocket, although I find that I can make do by squeezing my keys and a card into the hood's zipper pocket, and then wearing my phone tucked into the hip-strap. The Ergo 360 has one rather large thing to its discredit: the band is made of velcro! (The original Ergo is simply a buckle strap.) I didn't realize how terribly inconvenient this was until I was at church one Sunday, and baby wanted to get out and nurse, and I began to take off the carrier, and....RIIIIIPPPPPPPPPPPPPP! Lesson learned. 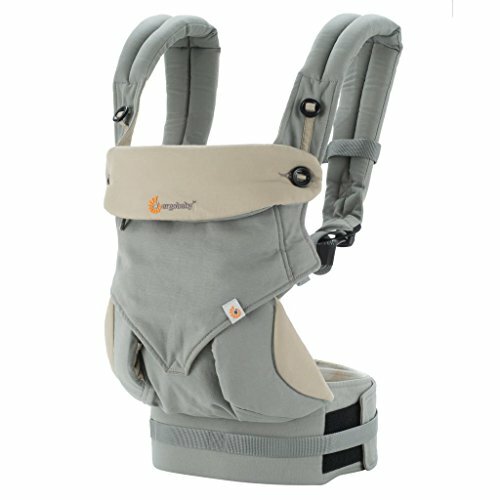 Now, if I'm in a "quiet" environment, I just keep the carrier strapped on and let the straps dangle when I take the baby out. But if I had to do it again, I'd still order the 360, because the convenience of being able to switch the baby outward-facing if they want to look around, and back to inward-facing when they want to nap, is really awesome. *Okay, so I guess one of the reasons why reviewers like the Adapt is because you can use it from birth without any need for an infant insert. That's convenient, but let me tell you a little secret: I never used the infant insert! And neither did my sisters...or sister in laws...because really, all you need is to roll up a blanket and stick it under the baby's bum for the first few weeks. Here's one of many videos that demonstrate this hack. And using a blanket was really convenient, because then I had a blanket for nursing with me already, and that, plus my keys and card tucked away, allowed me to travel so lightly! 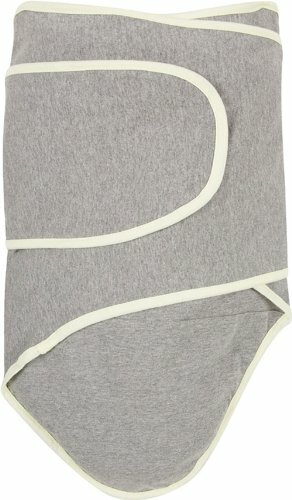 Nursing cover, or just use a muslin blanket? This question is SO personal, and since you really don't know what your comfort level will be until you actually have a baby (and each baby is different after that), there's no right answer here. Probably get both. I liked to use a nursing cover at the beginning if I was in public, because you are oh-so-exposed in those first weeks trying to get used to things. But as soon as I could manage more discreetly, I ditched the cover. Again, totally up to your comfort level. 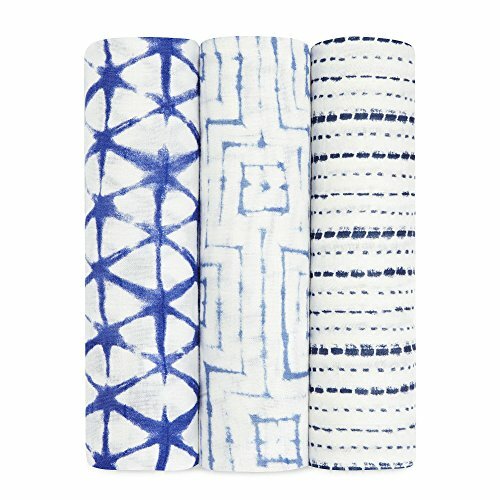 Muslin blankets are 100% necessities because they are everything and anything to you as a mom. 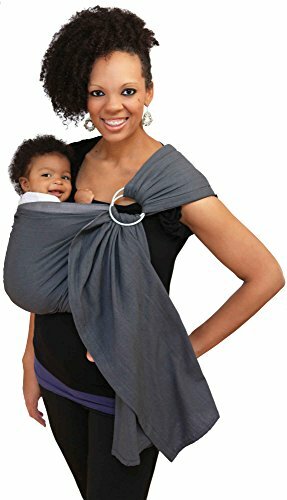 Use it over your shoulder as a nursing cover, or wrap your baby if it gets chilly, or throw it over the carseat to block out sun, or place it on the ground to give your baby a clean surface to lay on, or wipe up spit up with it...seriously. For the first 6 months, I like to have a basket filled with clean muslin blankets and I use them with reckless abandon throughout the day. You probably can't have too many of them. The creme de la creme here are Aden and Anais swaddles, but there are so many cute and adorable and soft options. Sophie has written all using cloth diapers, so check out her post if you're curious! I haven't ventured into that territory yet, but I'm intrigued and nearly-convinced by Sophie's reasons. On the note of changing diapers, though, Maria suggests having a basket stashed with diaper-changing supplies in multiple rooms, especially if you live in a two story house. I kept one basket in the living room, and one in the bedroom, and made sure each had: diapers, wipes, pads, and a couple fresh outfits. 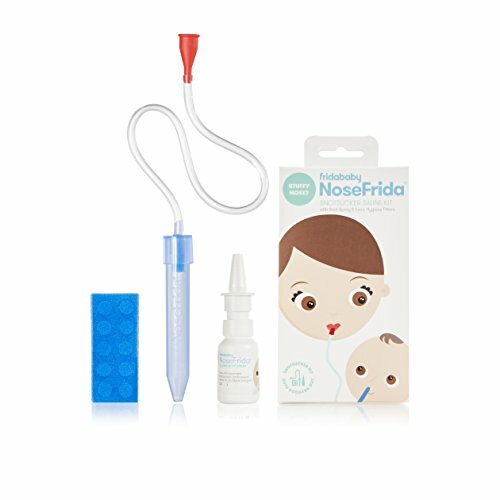 This made getting through the newborn stage, with so so many blowouts a day, far easier. The Stokke Tripp Trapp Highchair is absurdly priced, but arguably worth every penny. One recommendation was: "I've purchased and been given expensive baby stuff, but this is the only thing that I can say without hesitation is worth every stupid penny." 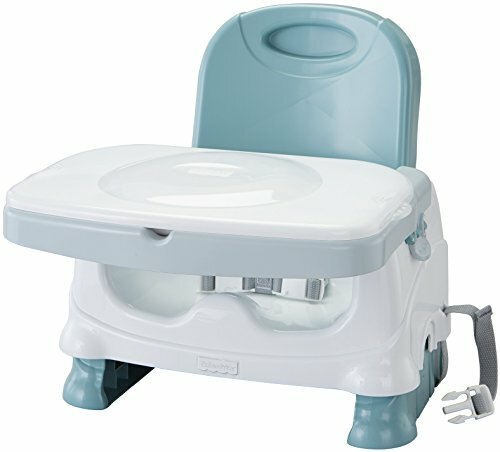 You can get the chair one its own, or, ideally, with the infant tray/seat attachment. 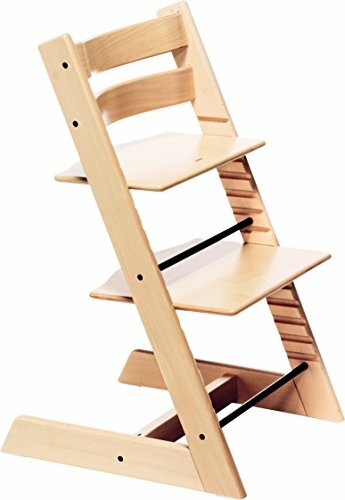 First of all, the Stokke Tripp Trapp is has just an impossibly elegant design. It's low-profile means your home isn't taken over by baby furniture for years. The seat works basically from as soon as your baby can sit up to adulthood. Another sister-in-law said: "One chair goes a long way." Baby can sit in the padded seat right up against the table, or pulled out with a tray when they begin to self-feed. Remove the tray/seat attachment, and your growing child can sit like an adult. The seat and foot step are all easily adjustable, so this doubles as extra seating when you have a dinner party. Oh yes, and they are so so so so so easy to wipe down! Finally, we've also really loved using the Inglesina Fast Table Chair on kitchen counters/bars. It's great if you want baby close while cooking, but don't want to drag the highchair into the kitchen. You can remove the seat for washing while keeping the arms attached to the counter, so it's very convenient. Okay this list is getting long so I'm going to round up a bunch of other recommendations, and maybe do a more thorough job of them at some later, future date. Boppy Pillow. I used this every day for months. At the beginning, it helped me breastfeed on the couch without hunching over so much. Later on, it was a useful prop so the baby could look around a little (far happier than laying flat on the ground!). Later still, it served as an assistance when just learning how to sit up, an insurance that the baby didn't fall backwards and bonk their head. Travel Diaper Changing Kit. There are about a million different options out there that all basically do the same thing. This is the one I have. I like to travel light, especially on walks, so I would go out sans-diaper bag and simply wear this around my wrist like a clutch, or clipped to the baby carrier. MaClaren Travel Stroller: A MILLION TIMES YES! The travel stroller that IS A REAL STROLLER! Sturdy, compact, and nearly indestructible. Until recently, when I found I needed a double stroller, this is the only stroller I used.